Ben Packham looks at the factors that contribute to the state of Australian media coverage of stories from Papua New Guinea. This is the second of a three-part series. The ABC’s Papua New Guinea correspondent Liam Cochrane may be Australia’s loneliest foreign correspondent, but he could well be the luckiest. Almost every one of Cochrane’s reports is “exclusive” for the Australian audience because he’s the only Aussie journalist based here. For a nation so close to Australia and so full of compelling stories, PNG is woefully under-covered by the Australian media. On news value alone, this country could support enough foreign correspondents to line the bar of Royal Papua New Guinea Yacht Club. But there are a number of factors at play that combine to limit reporting of PNG to an Australian audience. Liam Cochrane reporting for the ABC in Port Moresby (Photo: Liam Cochrane, TwitterLiam_Cochrane). Until last year, Cochrane had Australian Associated Press reporter Eoin Blackwell for company. Like the ABC, AAP had maintained correspondents here since independence in 1975. Blackwell was the last. Aside from Cochrane, there’s only a small number of fly-in-fly-out and Australian-based journalists keeping Australia informed about its nearest neighbour. The PNG leadership is extremely sensitive about how the country is presented to the outside world and – since most journalists who come here want to report on issues like crime, disease, sorcery and the treatment of women – it makes it hard for reporters to enter the country in the first place. All visa applications by journalists must be approved by the Prime Minister’s office before they are dealt with by the country’s immigration officials. Delays of many months are commonplace. Even veteran correspondents face difficulties. The Australian’s newspaper’s Asia Pacific editor Rowan Callick, who recently received an OBE from the PNG government for services to journalism, applied with a photographer to cover the national elections two years ago. “We finally got a positive response after about ten weeks, some time after the campaign had finished,” he said. Cost is another big factor keeping Australian journalists away, and was the over-riding consideration for AAP when it closed its PNG bureau last year. Unlike mining and financial companies, which are flocking here, news organisations find it hard to absorb residential rents in the order of A$10,000 a month. The cost of travel in PNG is prohibitive. If you want to report on a story outside Port Moresby, where many of the better stories are to be found, you have to get on a plane. Flights are expensive and often over-booked. PNG hotels are also pricey, and you don’t get a lot for your money. Modern communications are expensive and often unavailable. Journalists wanting to report here must consider the difficult security environment. If it were safer, there’d be more reporters (and tourists for that matter) prepared to make the trip. As it is, it would be extremely inadvisable for a foreign reporter to arrive at Port Moresby’s Jackson’s airport unannounced, then jump in a taxi and ask to go to a hotel. To do so would risk robbery or worse. Transport, security and accommodation arrangements must all be well-planned in advance. There are a number of journalists who have managed to overcome the barriers to reporting on this country, and are dedicated to bringing stories from Papua New Guinea to an international audience. Callick keeps a close watch on developments here, regularly reporting on PNG issues in the pages of The Australian. He is tapped into the complex political scene and is particularly interested in the nation’s economic story. Freelance journalist Jo Chandler in PNG (Photo: Vlad Sokhin). Freelancer Jo Chandler is another with a strong commitment to reporting on and from Papua New Guinea. The former Age and Global Mail journalist has travelled beyond the comfort zone of modern journalism to produce some insightful and confronting work here, particularly on the plight of women. She has also reported on the rising threat of tuberculosis here and in the process became infected with a multi-drug resistant strain of the disease. The ABC’s commitment to reporting on PNG is not limited to its correspondent. Sydney-based Radio Australia reporter Jemima Garrett is a Pacific specialist who focuses particularly on economic issues. Radio Australia’s Pacific Beat also airs in-depth stories and interviews on PNG that would otherwise probably go unreported. Brisbane-based SBS journalist Stefan Armbruster is another regular visitor to PNG, reporting on issues like the spread of drug-resistant TB. Photographer Vlad Sorkin also deserves special mention. His project, Cry Meri, documents the dangers faced by PNG women, on the streets and in their homes. In my third and final blog in this series for the Australia-PNG Network, I will look at how reporting on PNG by Australian media could be expanded and improved. 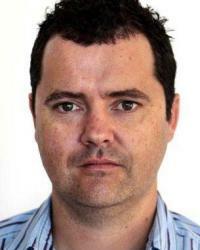 Ben Packham is an Australian journalist living in PNG as a diplomatic spouse. He has had a 15 year media career working for The Australian, The Herald Sun, AAP and The Geelong Advertiser. He hangs around Port Moresby while studying economics at the University of London over a very slow internet connection.